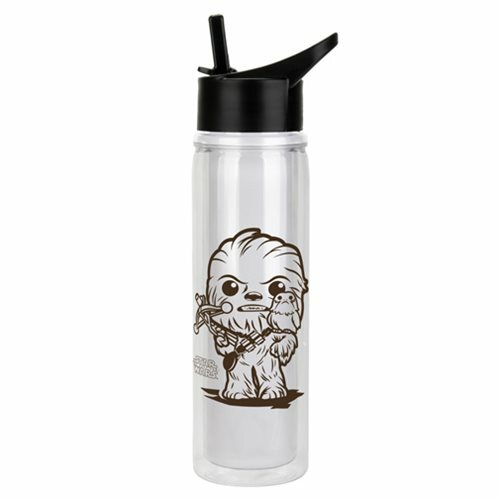 Stay hydrated with the help of the your favorite furry creatures from space! The Star Wars: The Last Jedi Chewbacca and Porg Water Bottle features a Pop! Vinyl-ized image of a Chewbacca and Porg. The bottle is even BPA-Free! Holds up to 20 ounces (591 ML). Measures approximately 11-inches tall. AGes 13 and up.